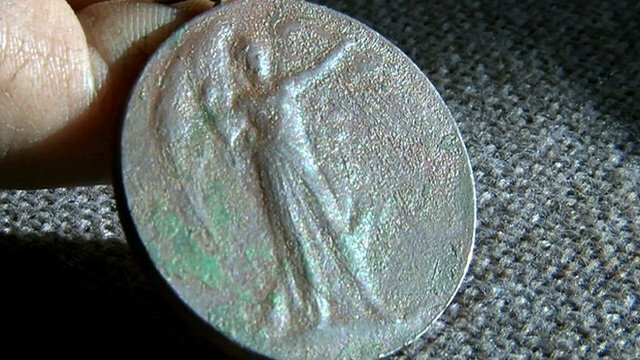 A metal detectorist is hoping to trace the relatives of a World War 1 soldier after discovering his Victory Medal in an Isle of Man field. The BBC reports that the medal is embossed with the name WH Gelling and also mentions the Coldstream Guards. If no relatives are found the medal will go on display in the Manx Military and Aviation museum. This entry was posted in Events and tagged archeology, Coldstream Guards, Isle of Man medal, Isle of Mann, Mark Leadley detectorist, metal detecting, Victory Medal, WH Gelling. Bookmark the permalink.